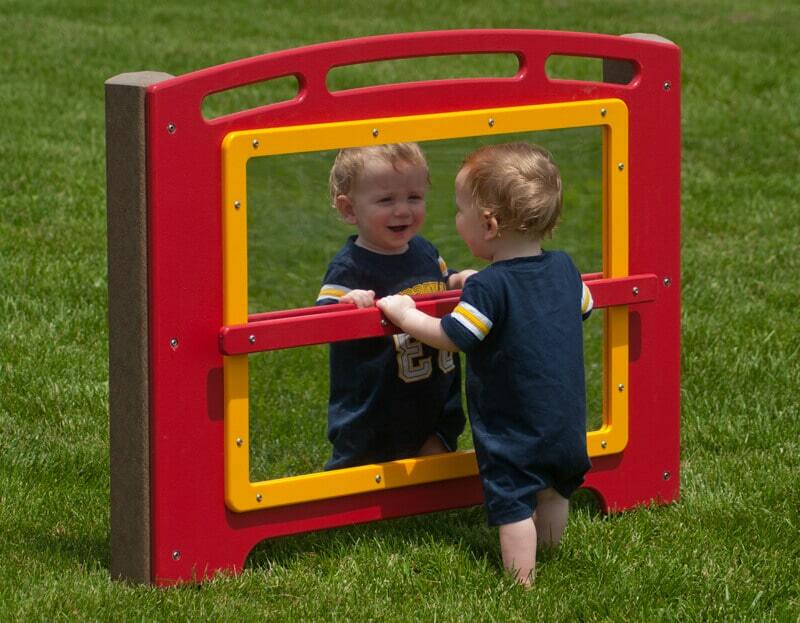 Designed with an acrylic mirror that accurately reflects images, our Mirror Panel offers a unique twist on traditional outdoor play equipment for preschoolers. The reflective coating is glued to the back of the acrylic, which prevents the coating from being damaged. Children enjoy studying the reflection of their bodies in the outdoor mirror, as well as the things that surround them. The children’s observations teach them about self awareness, perspective, and cause and effect.